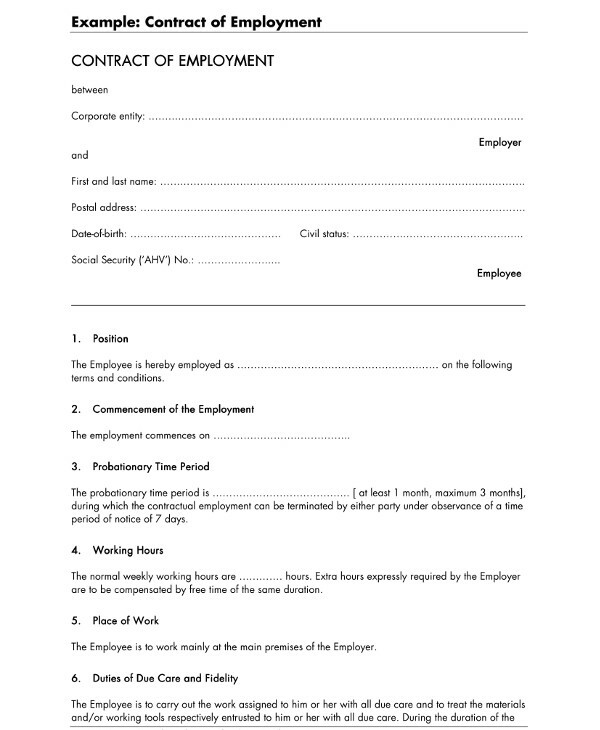 Contract workers or contract employees refer to laborers who are not considered as a regular employee of a particular company. 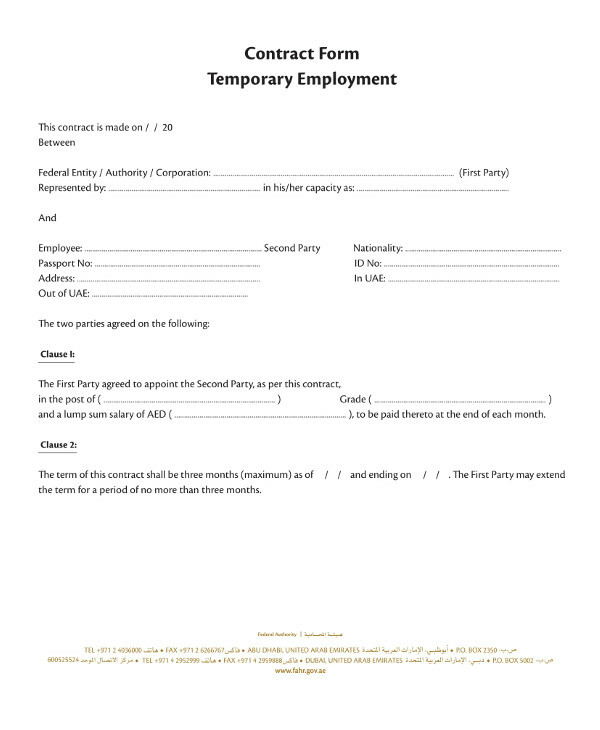 In most cases, they are hired for a short-term or part-time basis, usually to fulfill a certain task within the indicated time period. Since they aren’t official employees of a given business, they may not be included in the company’s regular payroll, and may have to operate independently from the company’s normal business functions. The company would not be responsible for providing traditional employer benefits, like taxes, Social Security, vacation time, sick leave, health benefits, and profit sharing as well.You may also see business contract examples. Considering the difference in their circumstances, hiring a contract worker is different from hiring a regular employee because it involves both employment and contract principles. 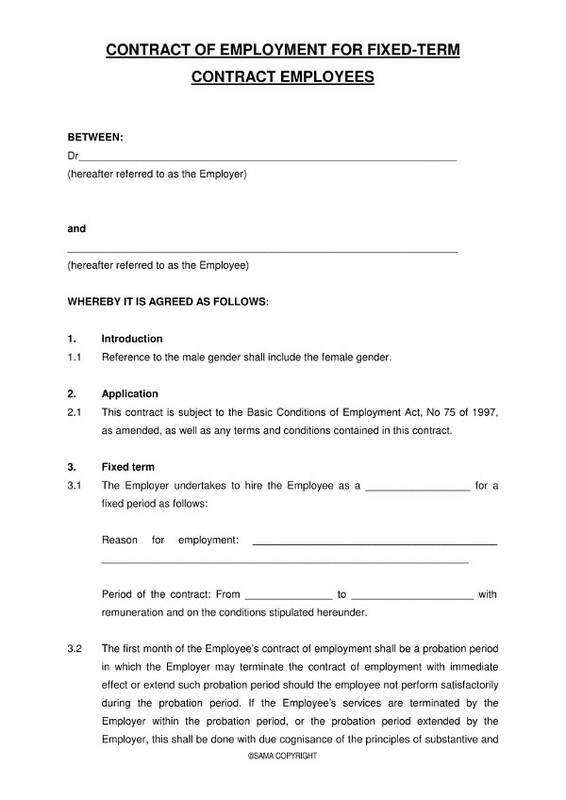 An employment contract can be a lot more comprehensive than a temporary employee contract, due to how the latter may only cover specific details about the project and its terms. Since it can be quite difficult to distinguish the two, it’s best to state whether the individual is going to be listed as a regular employee or as a contract worker. 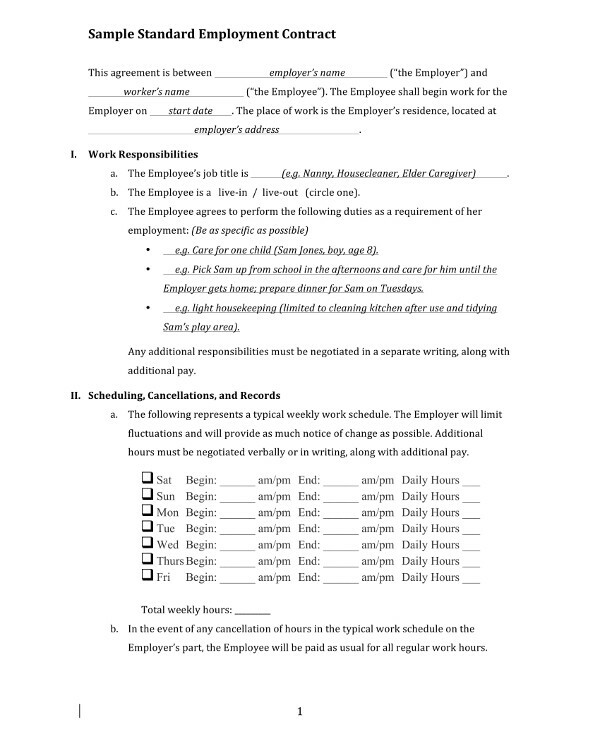 The contract must also mention whether the individual would be entitled to specific employee benefits or not.You may also see remodeling contract examples. The one thing we have to note about contract workers is the degree of control that the company has over them. Though they may seem like any other regular employee in your workforce, contract workers have a bit more freedom over their own work. 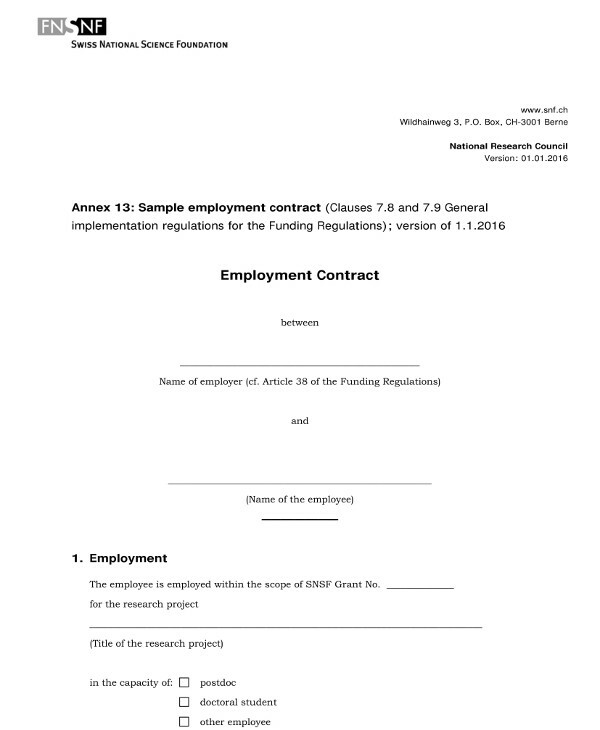 In fact, they are often permitted to do some or even most of their work outside business premises, and they may have the power to control the pace at which the work proceeds, the details of how the work is accomplished, as well as the materials needed to complete the project.You may also see company contract examples. But we have to remember that employment arrangements may differ according to the circumstances at hand. 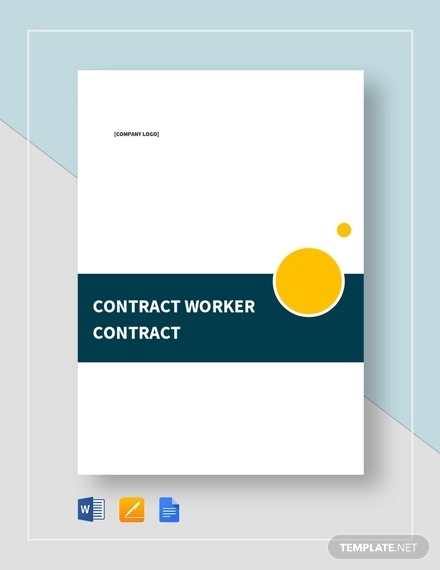 Not all employers will treat their employees and contract workers equally, so it’s important for everyone to be aware of their labor rights before signing any contract.You may also see contractor agreement examples. 2. Do I Need a Lawyer to Hire a Contract Worker? Employment laws often vary from state to state. Because of this, it’s a good idea to have an employment lawyer discuss contract employment issues for you to deepen your understanding. The attorney may also assist you in reviewing contracts and negotiating beneficial terms. And if you find yourself in a situation where filing a legal claim is necessary, your attorney can help you prepare for the lawsuit and guide you through the actual legal proceedings with ease.You may also see writing contract examples. There have been many issues of big name companies hiring contract workers as opposed to regular employees for their workforce. This is an ongoing problem that has forced many contract workers, even those who have been part of a company for over a decade, out of their jobs. Given the conditions that factory workers and other contract employees have to face possibly due to the selfish intentions of their employers, it’s clear why many individuals are fully against the thought of hiring contractors in certain circumstances.You may also see employee contract examples. The lack of employment status might seem like a bad thing for most people. But for many contract workers, it also means being able to control their own schedule. Being a full-time employee might seem normal to someone who’s young, career-driven, and single, but when starting a family, you’ll soon realize how consumed you are by your job that you no longer have the time and energy to be there for your family. The work/life balance is not something you can relate to, and you’ll soon realize how you’ve been devoting your entire life to meetings, phone calls, and paperwork like a robot. 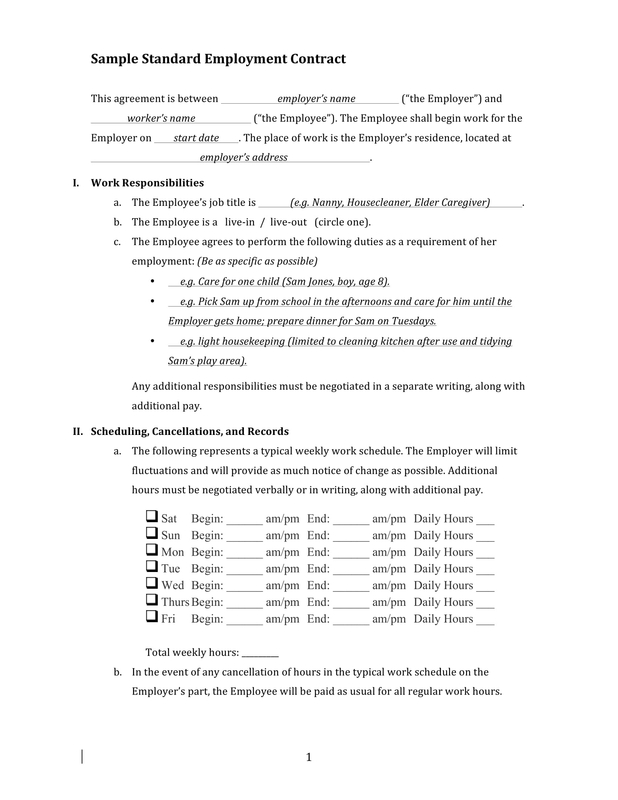 Having to deal with office politics doesn’t make things any better, either.You may also see tutoring contract examples. For anyone struggling with their daily 9-to-5 routines, or simply yearning for a well-balanced life, you might want to consider working as a contract employee instead. This way, you don’t have to worry about spending the rest of your life as a corporate slave. 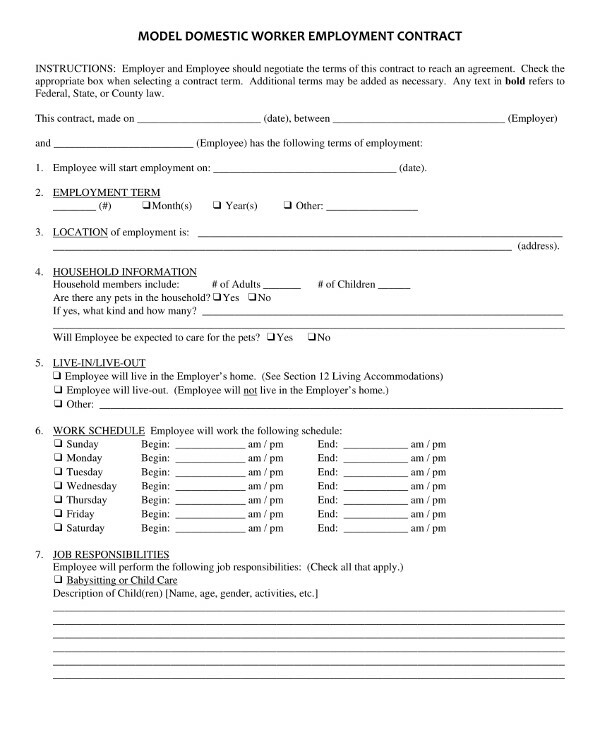 Though you’ll still have a few duties to accomplish and deadlines to meet in order to make a living, being a contract worker offers you enough spare time to spend with yourself, your loved ones, and all the things you’ve wanted to do with your life.You may also see yearly contract examples. It’s a well-known fact that contract workers don’t receive the same benefits as their employee counterparts. Those earning a low-hourly rate have a lot to be concerned about, and being saddled by health concerns only make things worse. But for contract workers in certain industries, their hourly rates can make up for the lack of employer-subsidized benefits. For instance, some contract engineers earn twice as much as regular staff engineers, especially if they possess the right skills and experience to complete the job. Even if you aren’t obliged to receive health care from your employer, you can always avail for individual insurance just in case you’re interested in getting one.You may also see contract examples. It might seem pretty ironic for a laborer, who’s recognized for not having a stable job, to say that being a contract worker gives you a shot at job security. But the common misconception of contract workers is their inability to commit. In reality, being a contract worker gives you the chance to broaden your skills in a craft in order to widen your scope and increase your performance. 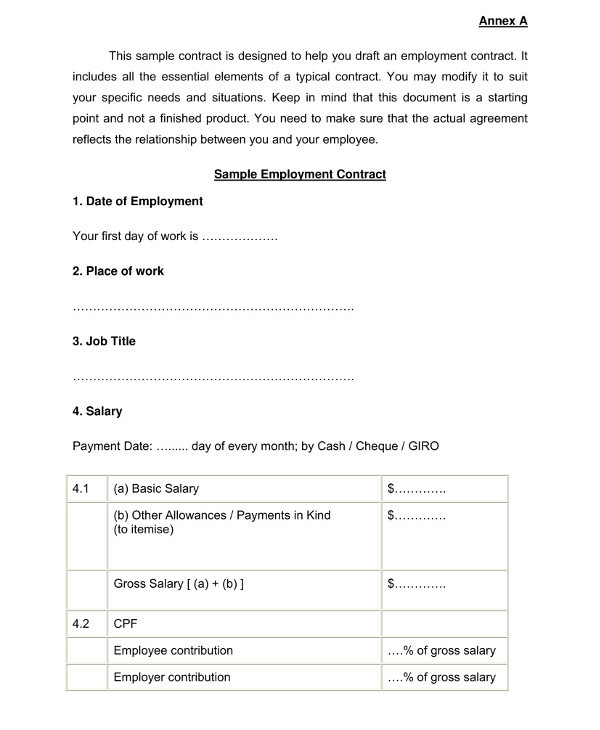 This makes you desirable to hiring managers, considering the amount of exposure generated from different projects, working conditions, and industries.You may also see counselling contract examples. Familiarity is also a weakness that regular employees possess. Imagine being hired as a direct staff in a particular company for more than five years, the possibility of getting laid off might be something you fear not because you love your current job so much, but because finding work elsewhere almost seems like a lost cause. But as a contract worker, you build bridges with some of the most notable employers in the industry, keep an eye out for fresh opportunities, and stay flexible to whatever tasks are laid upon you.You may also see HR contract examples. You might be thinking twice about hiring a contract worker for your team, but it can actually be a smart business move for a company to make. 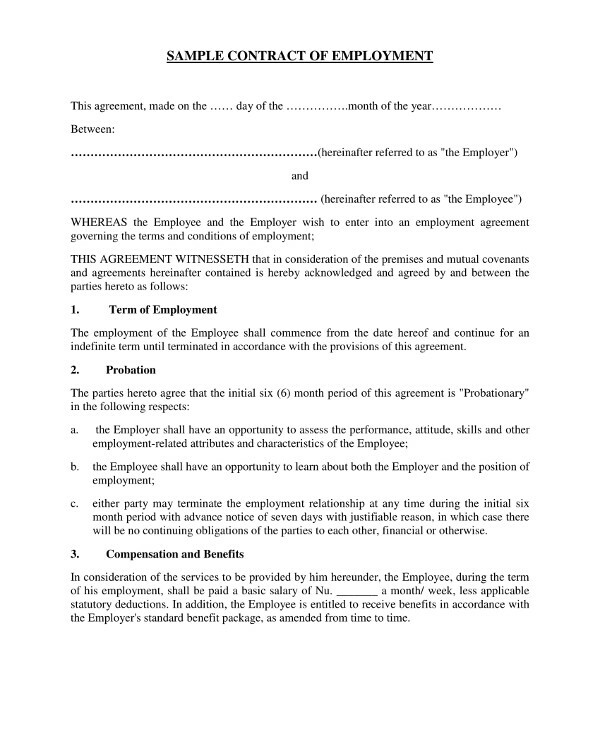 There are several benefits that come with contract workers, including the ability to hire workers for short-term projects (or on an as-needed basis), the lower overhead operating costs thanks to fewer employer-paid benefits, and the opportunity to hire highly skilled individuals for projects that your in-house staff is not capable of.You may also see contract proposal examples. Many contract workers also prefer to work remotely from the comfort of their own homes. This allows you to save on office space and equipment, which is great for employers looking to cut back on operational costs. It might seem like a burden to write a contract for every independent contractor relationship, but there are some agreements that need to be put into writing for the sake of both parties. This is done to address certain issues and terms that contractors should be made aware of, including the scope of the work, amounts and timing of payments, as well as who the rightful owner of the work would be. It’s important to specifically mention that the subject is an independent contractor and not an employee as well. It is also possible to prepare other agreements to tackle the type of work being done and the sensitivity of the information being provided. A confidentiality agreement and non-compete agreement may be necessary during the said circumstances. It makes sense to hire a contract worker when you only require their services for a particular project. Not only can this help the company save on additional costs, but it also allows the business to hire highly trained and experienced workers when in need of a specialized skill for the time being. It’s an efficient move that offers many benefits to company operations. 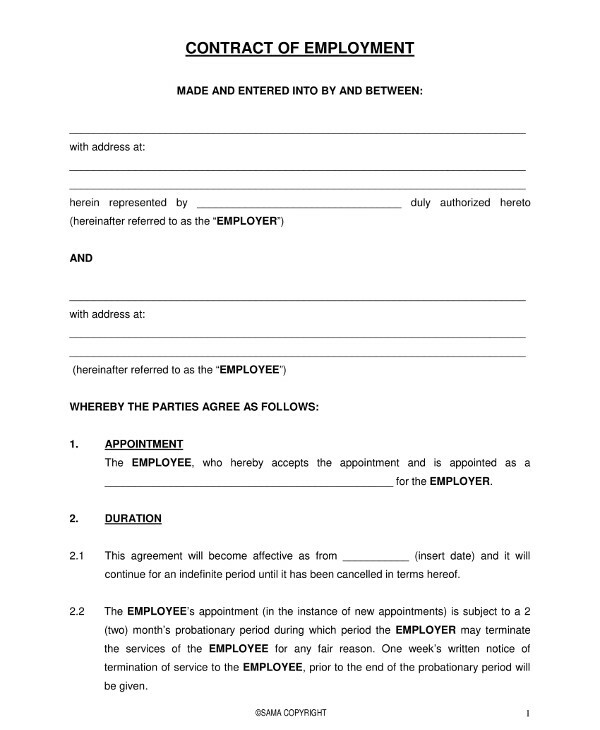 So if you ever plan on hiring a contract worker to do the job, make sure you have the right documents ready to avoid potential legal pitfalls.You may also see advertising contract examples.